This is a game between the two Group B teams who will be dropping down into the Eurocup in the New Year. Milan have found a bit of form recently but Limoges have toiled and have only one won game on the road this campaign, back in Round 2 but this is a game where the pressure is off. For a team who have been eliminated so early, it is unusual to see that EA7 Emporio Armani Milan currently boast the top scorer in the league. As of Round 9 of the regular season, Alessandro Gentile is the top scorer, averaging 20 points per game. He hasn’t been at his best recently and there is no guarantee that he will be able to play any part in this match. Milan will surely be keen to maintain their recent form and put on a good show for the home fans but it is difficult to say how motivated they will be for this game. 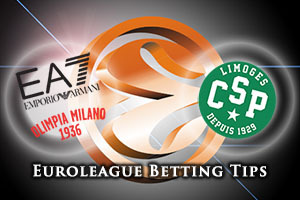 Can Limoges end their Euroleague campaign on a high? The French side have lost their last four matches in a row and they have the air of a side who is looking for this part of the season to be over. A trip to the Eurocup could be of benefit but for now, there is a chance to gain a morale boosting win against a Milan side that is struggling with injury. Nobel Noungou-Colo has been a key player for Limoges CSP and if he manages one more big showing in the Euroleague, it could be a good way for the away team to bow out on this campaign. The bookmakers are siding with the hosts but the uncertainty over who is fit for Milan makes Limoges decent value. 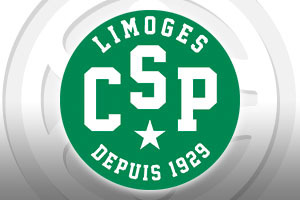 Look to take Limoges CSP at +8.5 at odds of 1.90 on Friday night. If you want to take advantage of the Over/Under market, look to go OVER 153.5 which is available at odds of 1.90. Bet Now!